Bodhi Linux, a fast, minimalistic Linux distribution which uses Enlightenment (E19) by default, has reached version 3.0.0. 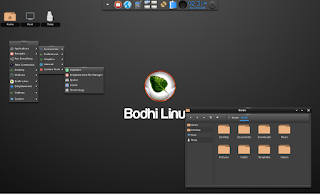 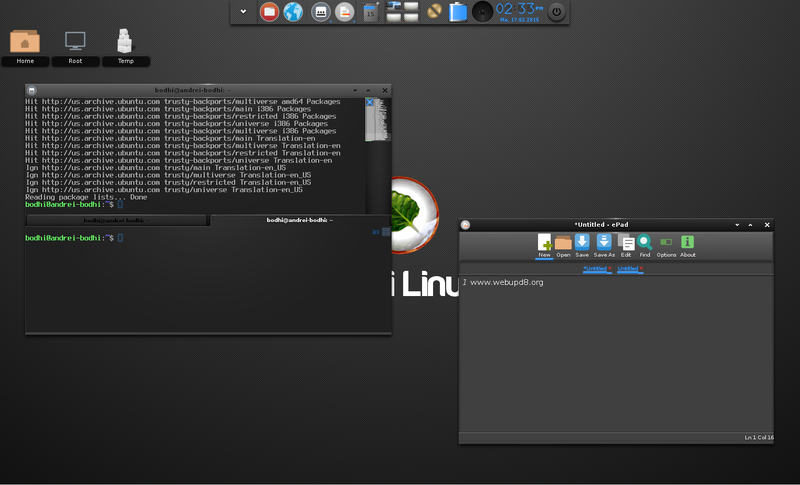 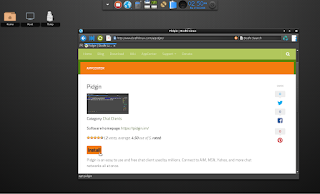 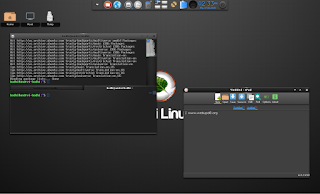 Based on Ubuntu 14.04 LTS, Bodhi Linux 3.0.0 ships with Enlightenment E19.3 and since it's intended to be lightweight, it only ships with a few applications by default: Midori (web browser) 0.5.9, nm-applet (connection manager applet) 0.9.8 and of course, a few Enlightenment-specific applications like Terminology (terminal emulator) 0.8.0, ePad (text editor) 0.9.0, ePhoto (picture viewer) 20150125 build, eepDater (update manager) 0.14 and Enlightenment File Manager. 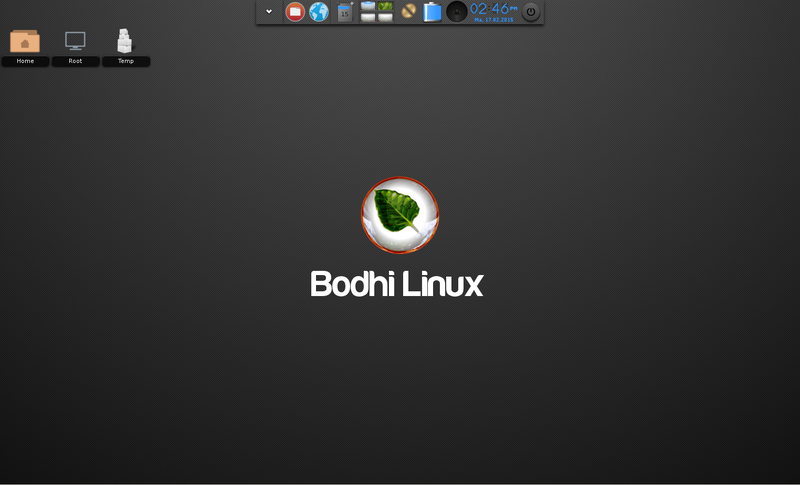 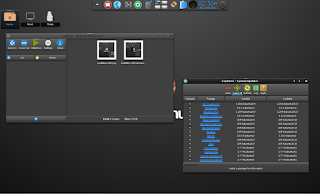 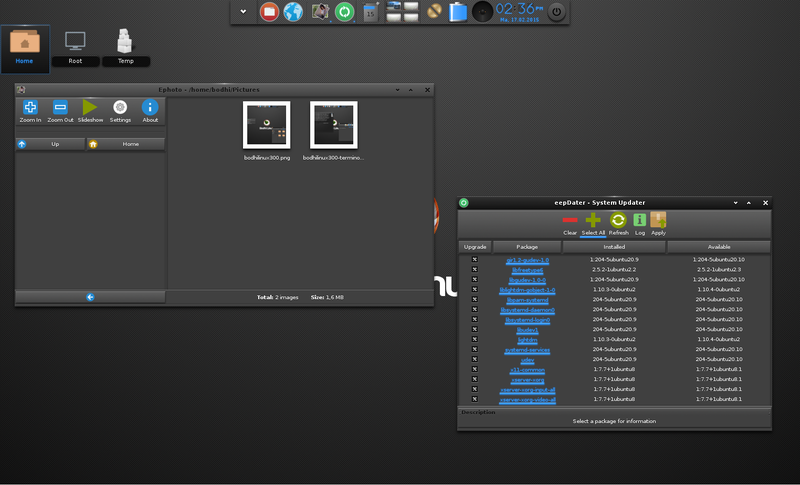 It's also worth mentioning with this release, Bodhi Linux is using the Numix (Bevel) icons by default. 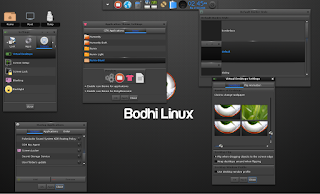 Under the hood, Bodhi Linux 3.0.0 ships with Xorg server 1.15.1, Mesa 10.1.3 and Linux Kernel 3.16 and besides the regular 32bit and 64bit ISOs, there's also a "legacy" ISO which ships with a non-PAE (3.2) Linux Kernel and i486 support, so it can be used on old hardware, as well as a Chromebook ISO (for Chromebooks which include SeaBIOS). For support, visit the Bodhi Linux 3 section of its user forums.